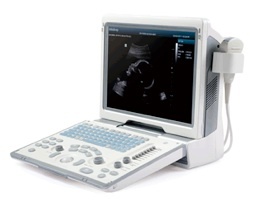 Download Document of Mindray DP-50 Portable Ultrasound. Today’s medical technology is enhanced with significant advances. As a caring professional, you seek to utilize these advances for your patient’s benefit. Mindray’s DP-50 is a superior black & white ultrasound system that allows you to do more in less time without compromise in the quality of diagnosis. Designed as a stepping stone into the world of ultrasound, the MIndray DP-50 Ultrasound will meet your needs for general practices while maintaining your budget. Evaluating patients in today’s demanding environment takes innovative technology to speed up diagnosis with greater confidence. The Mindray DP-50 ultrasound has versatility expands your clinical utility while improving patient care. The Mindray DP-50 ultrasound's concise graphical user interface has an organized control area, clipboard area and image area. This helps users to remain focused and to leverage the full diagnostic potential of the system at all times. Designed with the user in mind, the Mindaray DP-50 ultrasound makes any location accessible. Discount Cardiology will beat any price on the Mindray DP-50 Ultrasound! Mindray DP-50 Portable Ultrasound is the great portable scanner if you need to do a quick scan or if you are a student and want more practice.